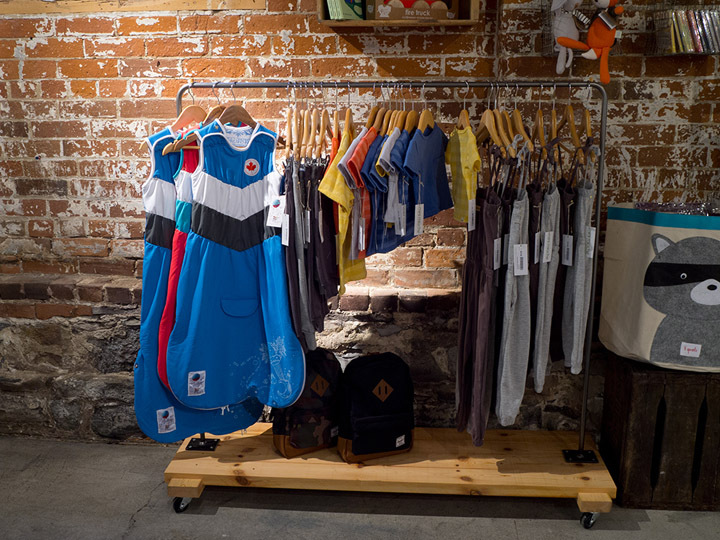 Children’s clothes can be displayed in bottles, on ropes or on floating shelves. In this case, your imagination is the limit. And the designers have proven that many times. 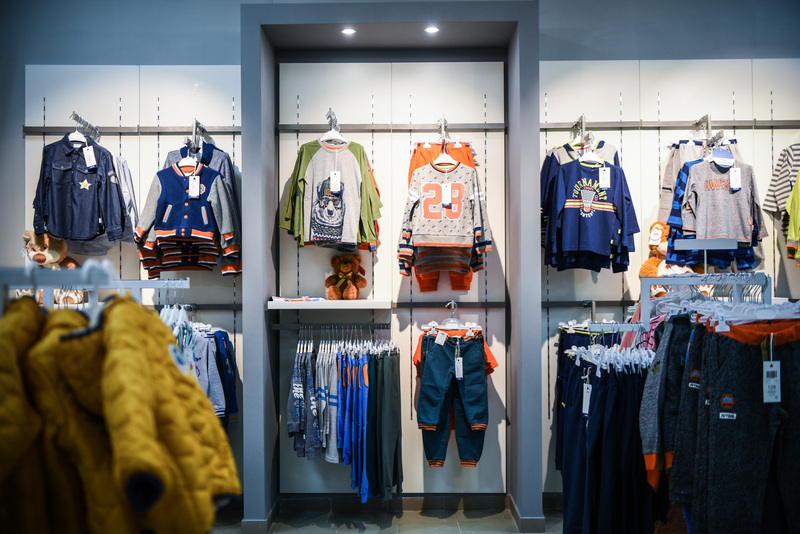 We collected 10 examples of children’s products display racks from foreign brands and 4 Ustor designs to keep you inspired and motivated to make your stores even better. 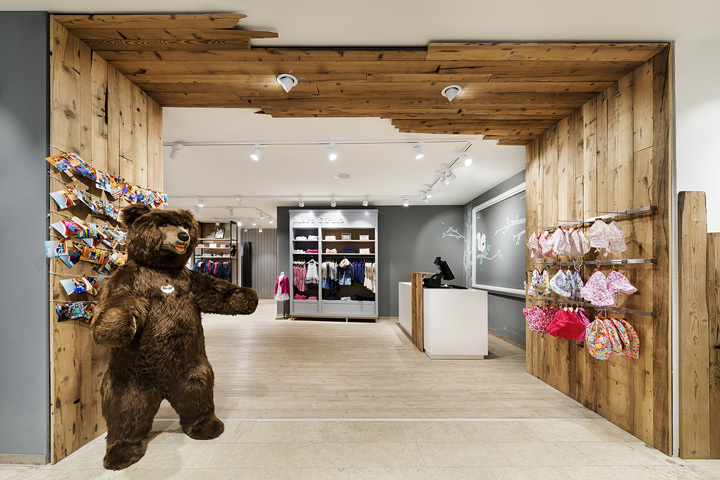 This Canadian children’s store used to be a factory, which is evident from its brick walls and cast iron columns. All the furniture and the lighting are custom-made pieces created by the designers from Salvage Interiors. 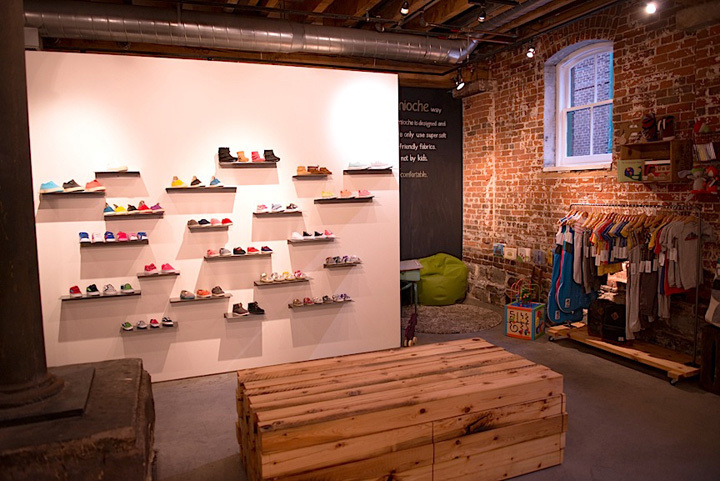 Neat white constructions for shoes stand side by side with wooden wall-mounted racks and metal stands. 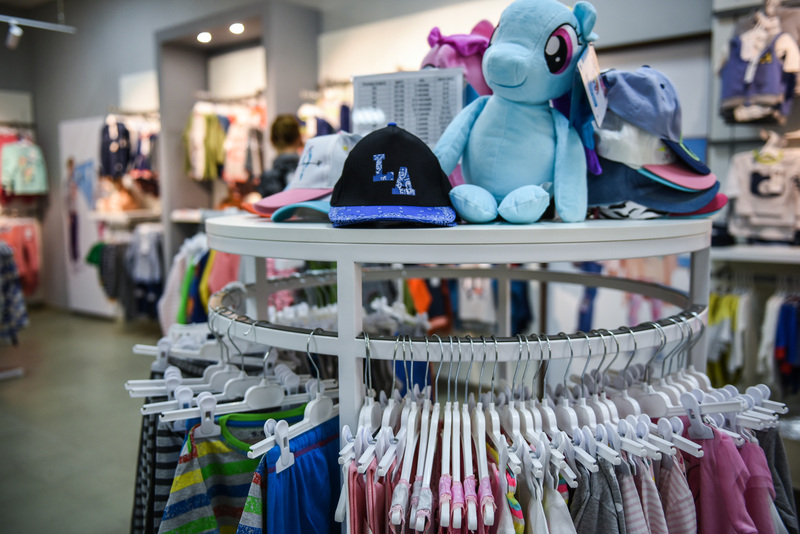 This shop, located in Germany, focuses on clothes for 0-14 year olds. 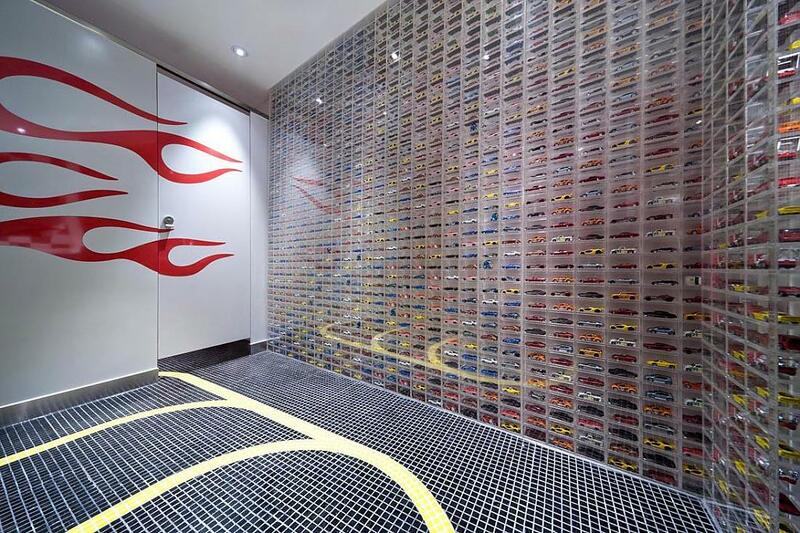 Konrad Knoblauch design team developed its interior. White display shelving resemble wardrobes. 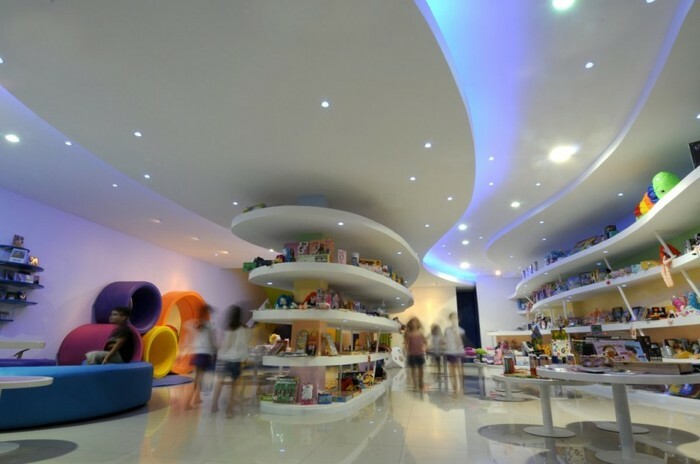 There is one fun element, which children especially like: a slide leading from the second to the first floor. 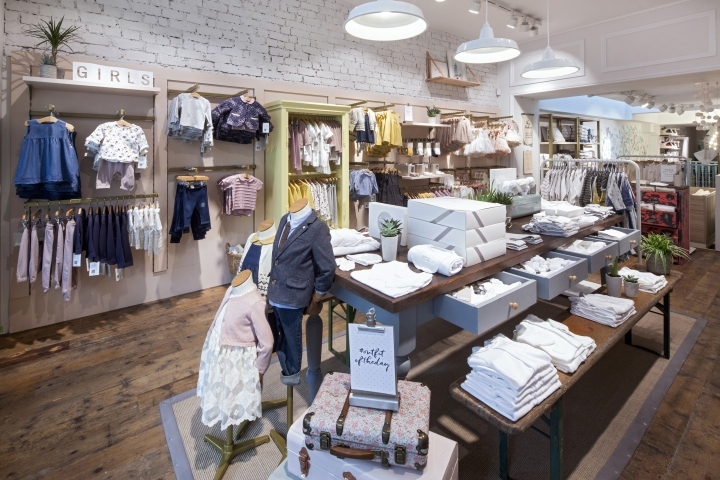 A new boutique from a brand, which customers love for its wide range of clothes, toys and other children’s products, opened in London. 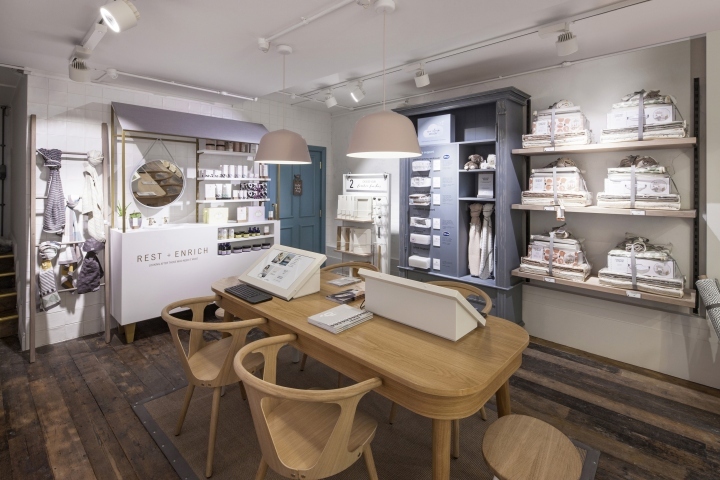 The range of products in the store is as attractive as its interior design: white walls, wooden floors and island display shelving with drawers. 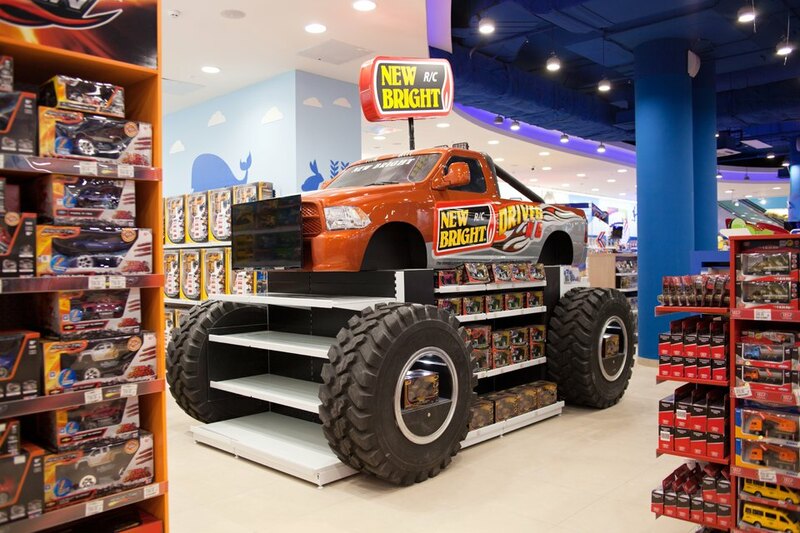 Display racks in the store look like monster trucks, dumping trucks and half-moons. 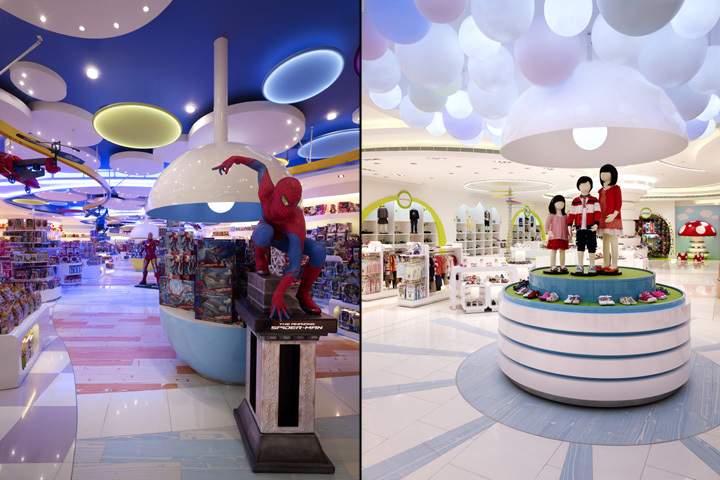 In a 7,000 square meter store you can find not only extraordinary racks, but also figures of cartoon characters. The Wolf and The Hare from famous soviet cartoon series Well, Just You Wait! 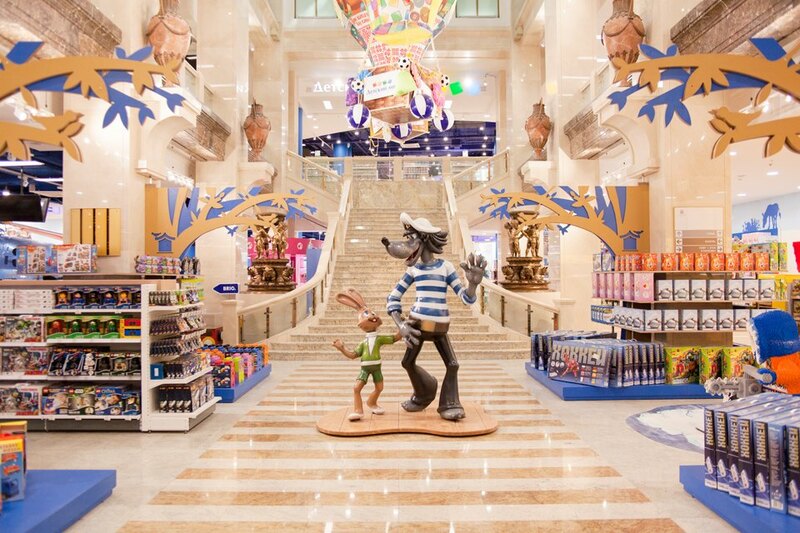 are greeting customers at the entrance, while the Blue Helicopter with Crocodile Gena and Cheburashka are placed in the main store area. 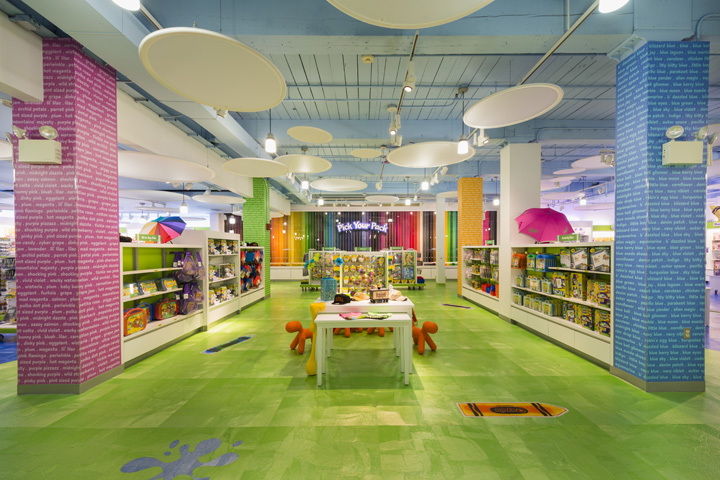 The design project from Callison architecture firm is a true wonderland for children of all ages. 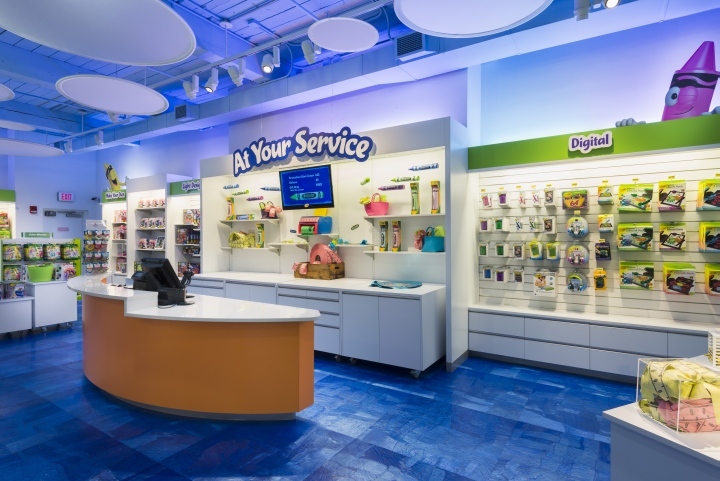 Small tweaks and changes in a store are almost unnoticeable to customer’s eye: a toy plane is flying all around the store; floor tiles are illuminated with different colors, depending on which part of the wonderland you are heading to. Island display shelving have soft lines with no sharp corners while wall-mounted racks cover the walls completely. Designers created a store with shelves, shape of which mimic flowing lines of the waves. Light colors prevail in interior design. There is also a sitting area with soft sofas, round tables and neat stools. 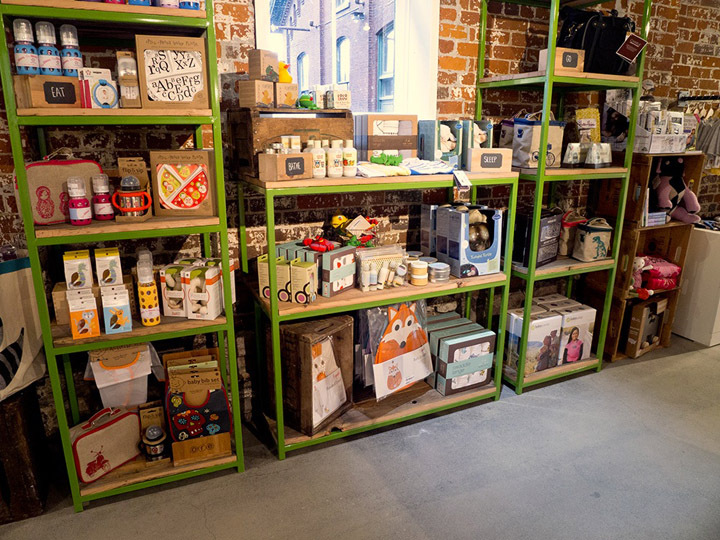 The concept of the store aims to attract young customers. 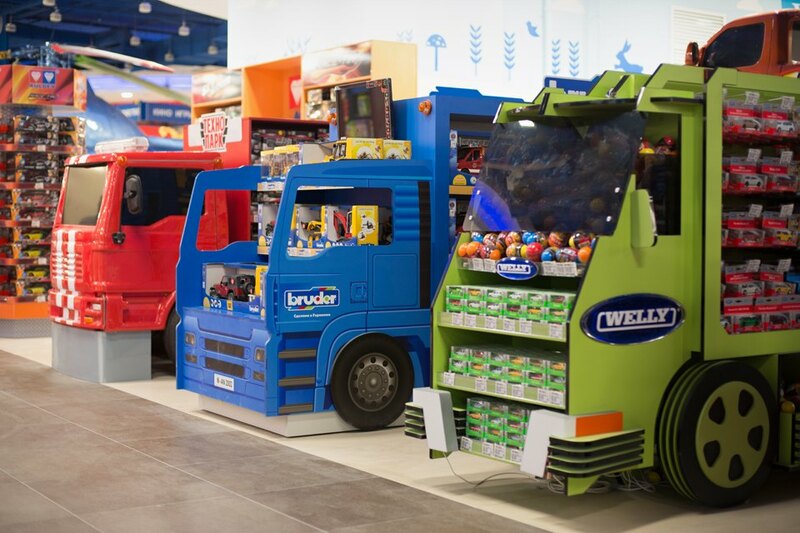 All counters are interactive, so a child is able to touch all the products. The store units several formats in one place: the shop shares a space with hair salon, which has cool car chairs. 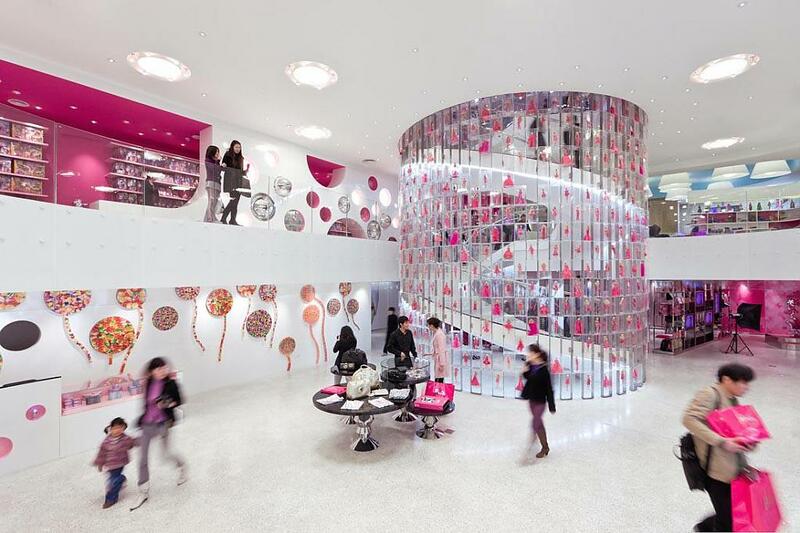 There is a spiral staircase that is used as a display case with all Barbie dolls, including the very first one. Standard wall-mounted racks are placed side by side with original round containers and tables legs with different carvings. Low display racks are made specifically for little customers. 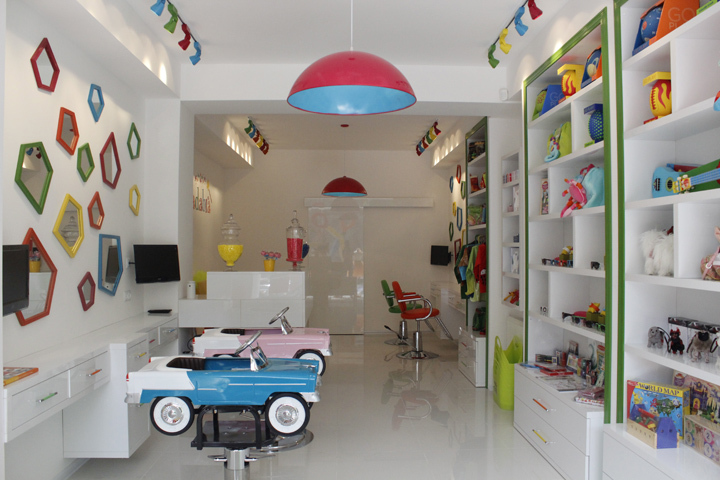 There are small tables placed all over the space for children to test the products. 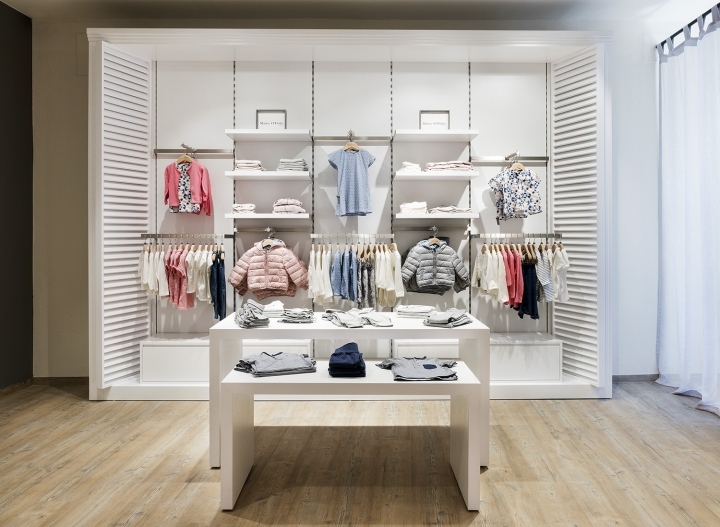 Designers chose to use white color for the retail equipment to keep customers’ focus on the goods. It’s a high fashion boutique located in Austria. 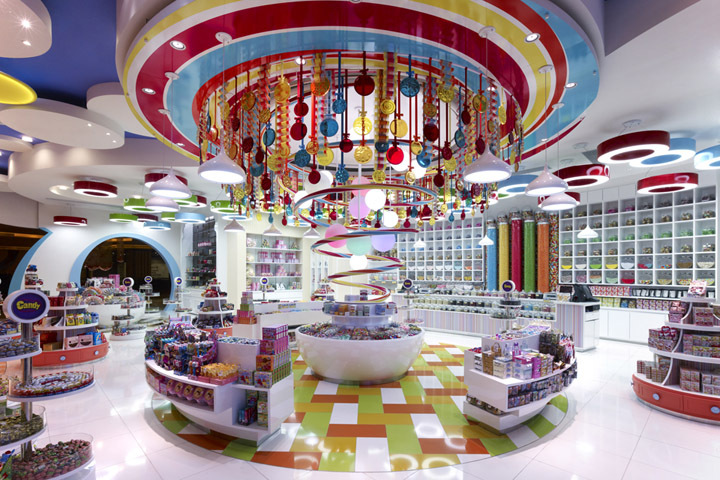 Interior designers found inspiration in black and white children’s movies and fairytales. The main space is filled with copper column cages. Designers developed built-in racks for shoes and wall-mounted racks from wood and metal for clothes. 5.10.15 is a famous Polish brand, which entered Ukrainian market a few years ago. 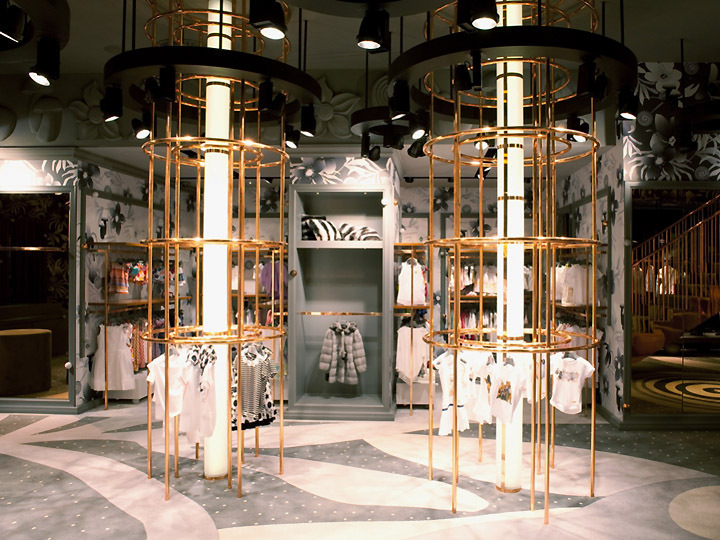 We manufactured display racks according to concept by STUDIO POTORSKA using metal and wood. We also added polka-style perforation on the baskets. 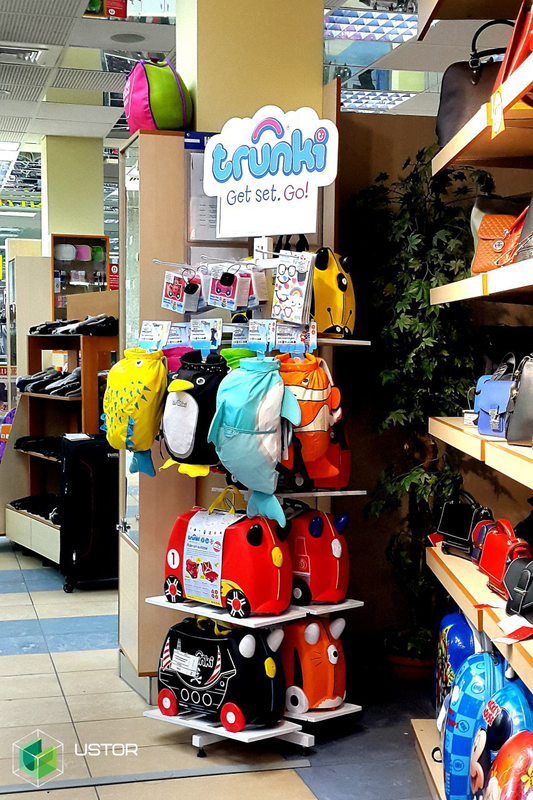 It’s a branded display rack suitable for children’s stores and supermarkets. It can be placed either in a center or at any corner. 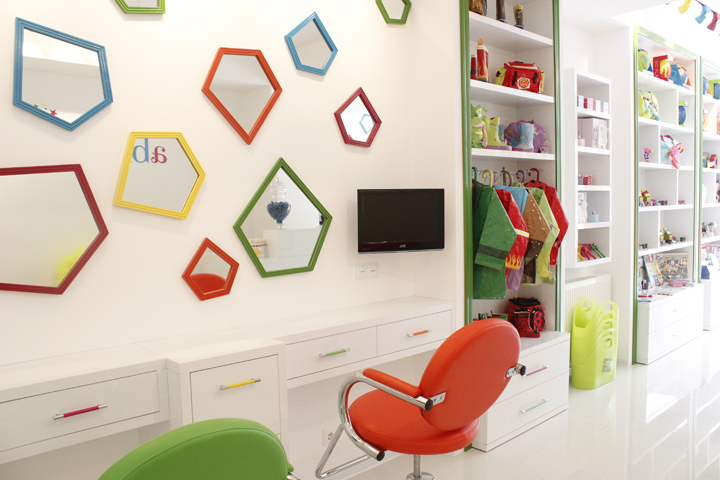 The design has additional elements, such as shelves and pegs for children’s bags and suitcases. 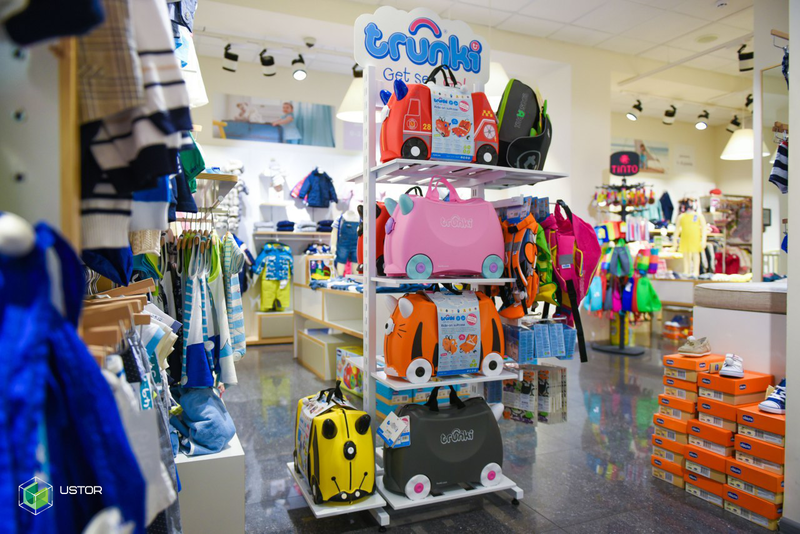 The display racks were made according to Blukids brand book. Both the retailer and the brand owner were happy with the look, quality of the equipment and the installation of white wall-mounted racks. We manufactured retail equipment for all departments of the store according to the brand book developed by Lithuanian designers. 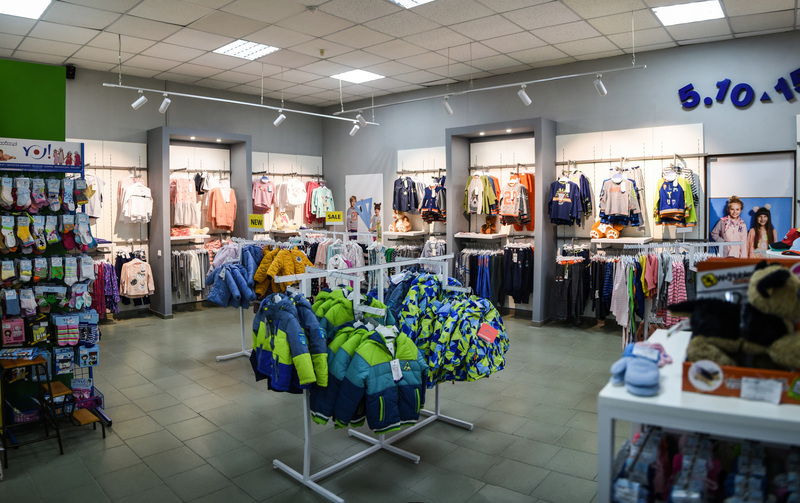 The project included shelving for children’s clothes, maternity wear, shoes, baby carriages, baby beds as well as display racks for hats, toys and books.